One tradition loved by many in the Central community during the Winter holiday season is listening to musical performances from members of the CMU student body, faculty, and staff. For over 80 years, Central Michigan University has had its auditoriums, walkways, and gathering areas blessed with music. This music, however, wasn’t created by any musical instrument as you might think of one; it was created entirely by voices. A Cappella groups have been a prominent part of CMU’s musical history ever since the first group was formed by Professor J. Harold Powers -- sound familiar? After a stint as the Keeler Union, the building known as Powers Hall today, was the Music Building, a building where J. H. Powers taught and for which he is now the namesake. The first A Cappella group on campus was primarily formed by Choir students and Glee Club members. This talented group of 16 men and 20 women mostly performed at assemblies that the entire University community attended. Little did this group know that they would be the founders of an entirely new way of performing and producing music on Central Michigan University’s campus. Today, there are three A Cappella groups on campus. First off, there is the all-male group, Fish ‘N Chips. Secondly, there is an all-female group named On the Rox. Last, but certainly not least, the only co-ed group at CMU, Central Harmony. Each group has their own style of music, which is typical among A Cappella groups. Similar to today, the first A Cappella group on campus also had their own style and feel to the songs they performed. This group pulled from many classical composers and used a number of different dancing styles to accompany their arrangements. For a more detailed list of this groups members and a set list, check out the December 1933 Centralight (p.8). Harley Whelpley, 1 folder, mentions receiving Christmas packages. He served as a private in Company C, 167th Engineers Construction Battalion during WWII. Rotary Club slides, 1958-1962, include colored slides documenting family and group activities including Christmas celebrations. Kendall Klumpp, Photograph collection includes black and white photos of Mt. Pleasant High School choral events, one is identified as Christmas Vespers Chorus, 1941. Greeting card scrapbook, 1800s, includes mostly 19th c. Christmas and New Year's cards. Tourism Club (Mt. 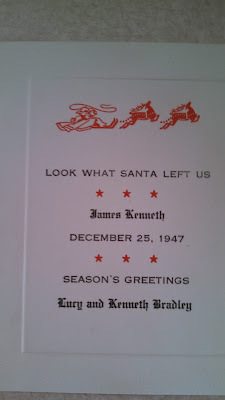 Pleasant, MI) Organizational records include Christmas Books, 1931-1941 and 1961-1971. The Christmas Books document needy, local families that the Club helped at Christmas time. The 1931-1941 book also notes gifts given in 1929. The books include the names, ages, and addresses of family members, gifts given (food, clothes, toys, and/or household supplies), medical, marital, and employment or income information, if any, and what, if any, government or other assistance was received. Due to the private personal, medical, and financial information about the families in the books, and the fact that some of the people listed in the 1971 Christmas Book were infants at that time, the books are closed to researchers until 2040. Camp North Woods (Pellston, MI) Camp Snooze, Vol. 5, 1928. Also included are party and dinner favors, a few newspaper clippings documenting the girls attending summer camp from June 28-Aug. 20, 1928, and a Dec. 28 Christmas gathering, and related letters, invitations, and telegrams, Nov.-Dec. 28, 1928. Most of the materials are mimeographed. Owen P. Safford, Glass-plate negatives, 1890, 1897. Box 1 contains the calendar pages of 1897 as well as a wonderful Christmas scene of a decorated table-top tree complete with candles on the branches and surrounded by children. Safford was a druggist and photographer in Flint. 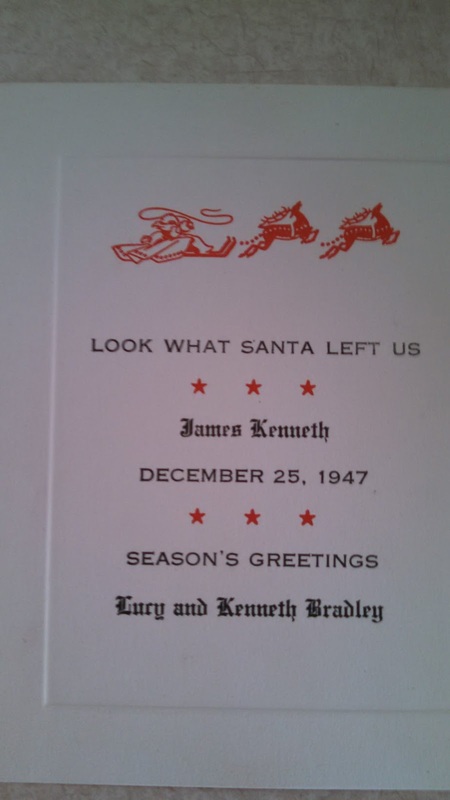 The Ardith and Charles Westie collection, which is still growing, includes Christmas cards including some from the 1940s. Here's one to warm your heart. The first “stand-alone” publication of “The Night Before Christmas” is found in the Clarke Historical Library. Clement Moore’s “A Visit from St. Nicholas” was written as a gift for his children in 1822. It eventually became one of the best known poems ever written in the United States. Moore considered it a frivolous piece, but in 1823 a friend submitted it (without Moore’s permission) to a local newspaper, which published it anonymously. Many years later, Moore claimed credit for the work, although some scholars dispute this claim. Regardless of who wrote it, the first independent publication of the widely read poem occurred in 1848, a copy of which is in the Clark Historical Library. The poem’s frivolity was almost unique for its time. Children’s literature of the day was designed to instill Christian values or educate children about the world. Although a certain amount of amusement was grudgingly allowed in such publications in order to keep children focused on their lessons, fun was clearly not the goal. Childhood was about learning and learning was not required to be fun. Moore’s poem about good cheer and gift giving was simply meant to amuse. The poem likely drew on several existing sources in portraying “the jolly old elf,” but Moore’s vision of Santa Claus came to define the figure in the nineteenth century. Today, it continues to be who children everywhere expect to arrive at Thanksgiving day parades across America. Moore not only told us what St. Nick looked like, he also correctly assigned to St. Nick his unique mode of transportation, the flying sleigh and shared with children the names of the eight reindeer, Dasher, Dancer, Prancer, Vixen, Comet, Cupid, Donder (not Donner), and Blitzen. For the curious, Donder was renamed Donner in 1939, when Robert L. May published his revisionist account of the North Pole holiday transit system, Rudolph the Red Nosed Reindeer. Reindeer scholars are welcome to visit the Clarke, where they can also read May’s classic and decide for themselves whether the reindeer’s name is Donder, as Moore stated, or Donner, as claimed by May. Whichever reindeer name you decide upon, and however you choose to celebrate the end-of-year holidays, the Clarke Historical Library staff wishes you good cheer and a delightful time of sharing. The Michigan Digital Newspaper Grant Program has announced the five finalists vying to receive a grant that will allow them to have their historic newspapers digitized and placed online. The winning community's newspaper will be available through the Michigan Digital Newspaper Portal. 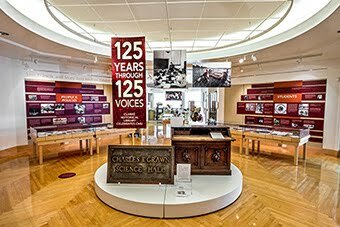 The grant, a $2,500 award to digitize 12,500 pages of previously microfilmed newspapers or 4,500 pages of unfilmed newspapers, is made possible by the Robert and Susan Clarke Endowment. To learn more about these newspapers and what they have to offer, read their proposals on the Clarke Historical Library's DigMichNews Grant website. To select the community that will be awarded the grant, we are asking you to decide which newspaper should win. Cast your votes between January 19 and January 26, 2016 via Twitter using the appropriate hashtag (the DigMichNews Grant site has links to generate a Tweet for you) or via a stamped and posted Michigan picture postcard indicating which community you are supporting. All votes must be posted or tweeted during the week-long voting period and all postcards must be received by the Clarke Historical Library by January 26 to count (No early or late votes will count). To keep up with the latest about the DigMichNews Grant and for other information about the Clarke's historical preservation microfilming program, follow the Michigan Digital Newspaper Program on Facebook and Twitter. It was one busy month in the Clarke Historical Library during November. 426 people visited – by far the busiest month in a decade and astounding when one recalls that in the entire year of 2005-06, 929 people visited the Library. Much of this increased use has to do with changes in the way history courses are taught. In particular, the Common Core State Educational Standards Initiative has changed the way teachers are expected to teach, and thus changed the way schools like CMU teach future teachers. Common Core calls on teachers to impart not just information, but learning skills to their students, what supporters call “deeper learning skills.” This, in turn has led to an emphasis on learning more than just “facts.” More and more teachers will be asked to develop in their students the ability to understand and interpret facts – to learn how to think about information. One way to do this is by using primary source material, the kind of things found in a library such as the Clarke. Learning how to assess documents, discussing how documents might be interpreted, and then developing a conclusion are critical skills both in history and in general in the twenty-first century. Future teachers learn how to do this in places like the Clarke Historical Library. This need to learn a new way to teach has created a new demand for the resources we have always held important. It keeps the Library staff busy and the Library increasingly relevant to the mission of CMU as well as the broader social issues America faces.